Personal injury encompasses a wide range of incidents, from auto accidents to medical malpractice to nursing home abuse and neglect. Any of these instances can lead to serious injury, disability, or death. Your personal injury attorney is likely working diligently to move your case along and get you the compensation you deserve for your pain and suffering, but what do you do in the meantime? That’s where Legal Capital Corp comes in with pre-settlement funding. 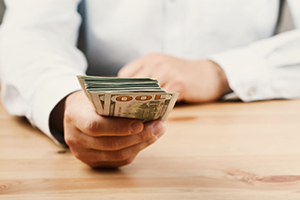 We provide a cash advance to plaintiffs who are struggling to make ends meet. Lost wages or loss of income: You or your loved one may be unable to work or have missed so many work days that you’re late on rent or paying your mortgage. Your attorney may be seeking compensation for your lost earnings and potential for future lost wages. Medical Expenses and Rehabilitation Costs: Many hospitals don’t waste time getting you your bill. These costs quickly accrue, especially when physical therapy and other specialty care is required. In cases of severe injuries, you could be looking at a long road of recovery and visits to the doctor. Funerals and Pre-Death Medical Care: Losing a loved one is not only devastating but also leaves you with unexpected bills. Burial expenses and other funeral-related costs can be difficult to cover on your own, and you may even be liable for the medical care they received prior to their passing. That coupled with the lost earnings and support provided by your late loved one can put a substantial financial burden on you and other surviving family members. The victim of the personal injury claim, or “Plaintiff,” contacts Legal Capital Corp, filling out our online form. It’s a simple application that requires only basic information. Legal Capital Corp reaches out to the plaintiff’s attorney to discuss vital details of your case. We quickly approve or deny your claim because we understand the urgency of your circumstances. If you’re approved for a cash advance on your personal injury claim, you’ll sign an agreement with Legal Capital Corp and have the funds within one to two days. If you or a loved one has been injured and is currently going through the claim process with an attorney, contact us in Chicago today by filling out our online application or calling (312) 204-7939 to see if you qualify for a cash advance. Legal Capital Corp serves clients in Chicago, Illinois and nationwide.